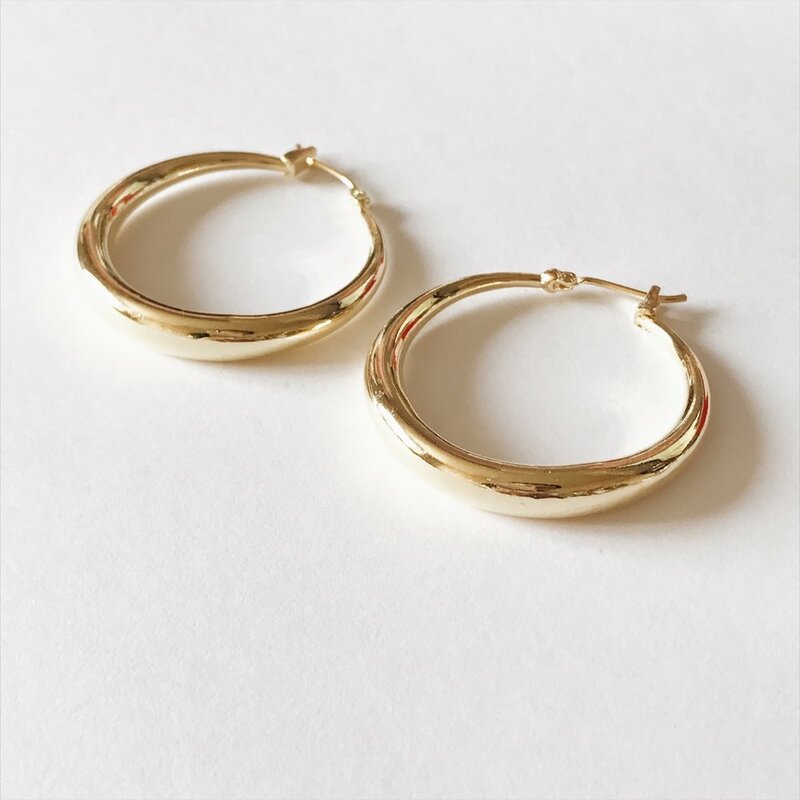 Complementary hoop styles in 14k gold fill and sterling silver. 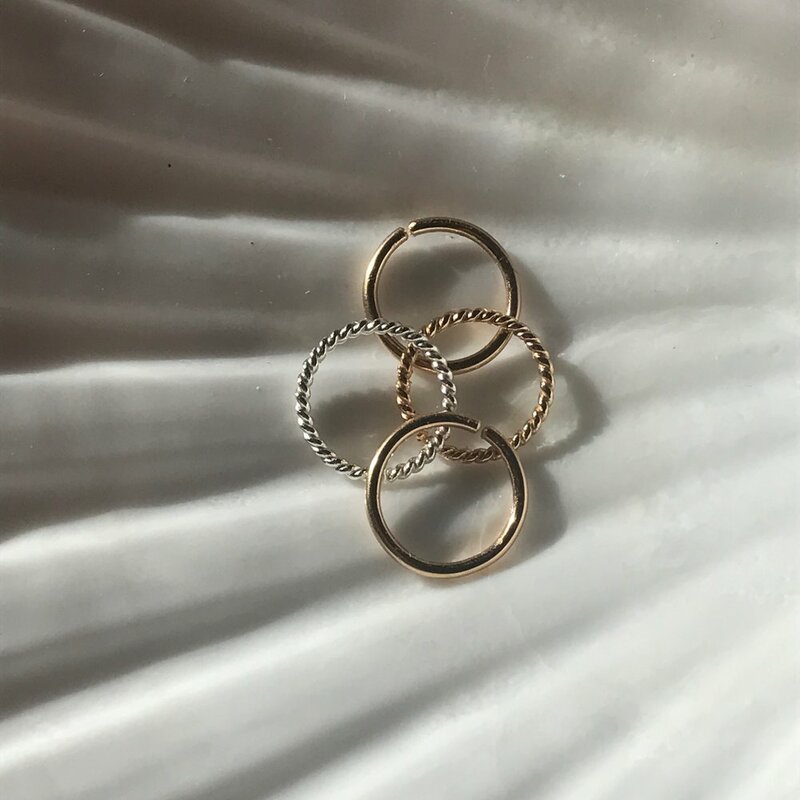 The plain and twist hoops are seamless pieces that can be worn continuously in the ear, nose, eyebrow or lip. Every hoop is carefully deburred to ensure a smooth comfortable fit. 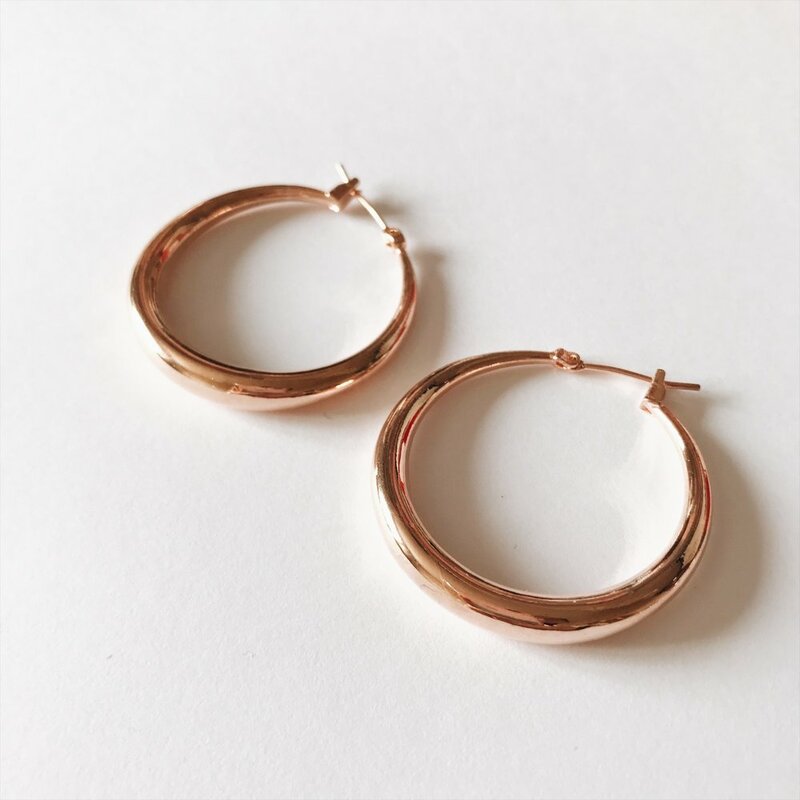 Give your ears the attention it rightfully deserves with a pair of beautiful graduated hoops. 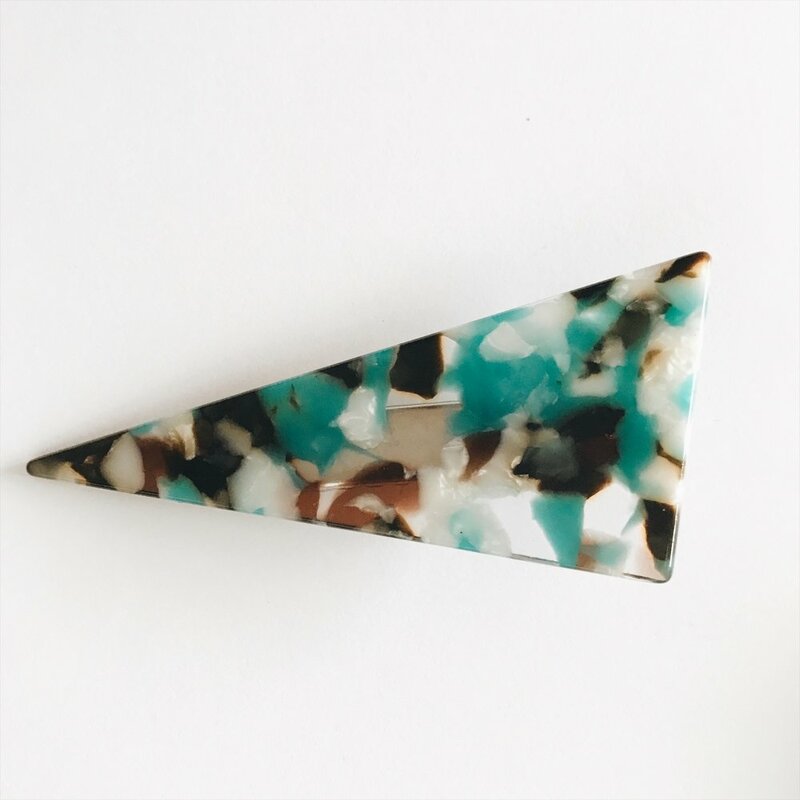 An all year round staple to lift any outfit and give you that extra boost of confidence. 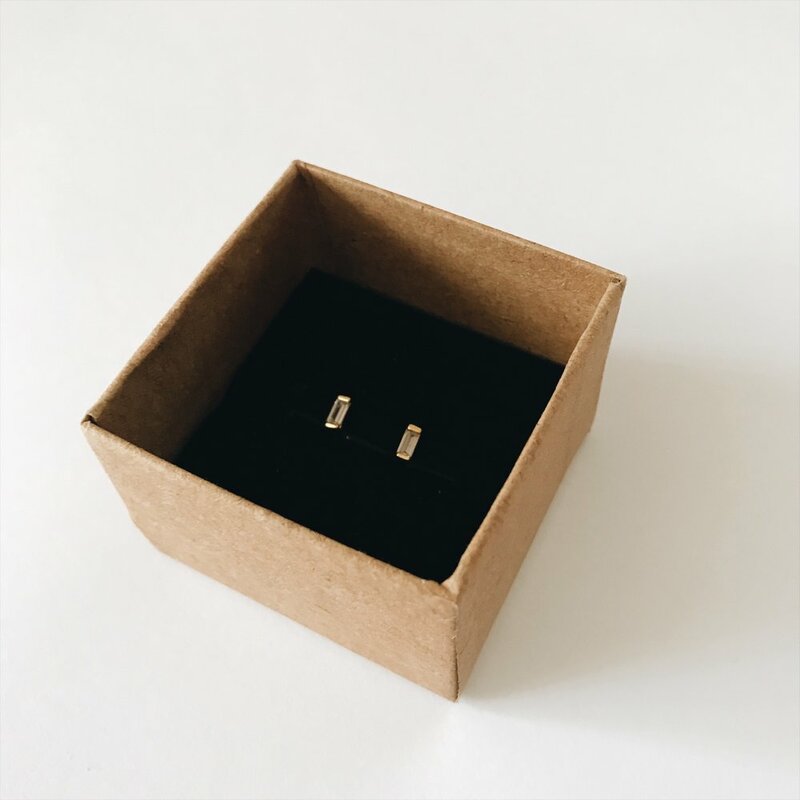 They’re available right now here at Orchha Jewels in gold and rose gold. A great piece to perk up any hair length and colour! Turquoise cartilage hoops available in 8mm and 10mm diameters. 14K Gold fill. 20ga and 18ga.